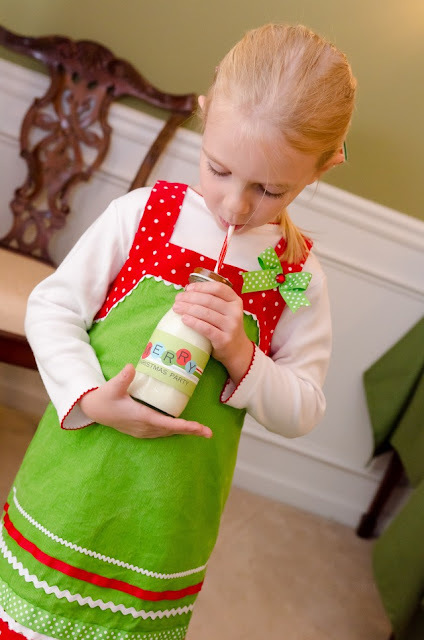 The next party feature goes to this super cute CHRISTMAS CARD WRITING PARTY submitted by Jennifer Needham of Double the Fun Parties. What a fabulous idea!! 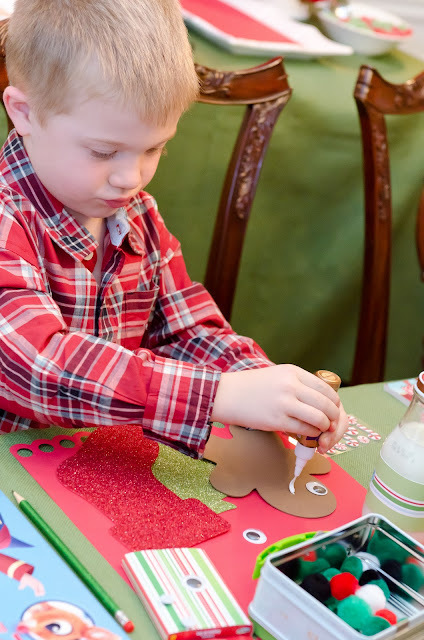 Why not gather around all your friends to write your Christmas cards! Get all of them done and written at once while eating yummy desserts! Jennifer said- "For years now, I’ve wanted to host this party. 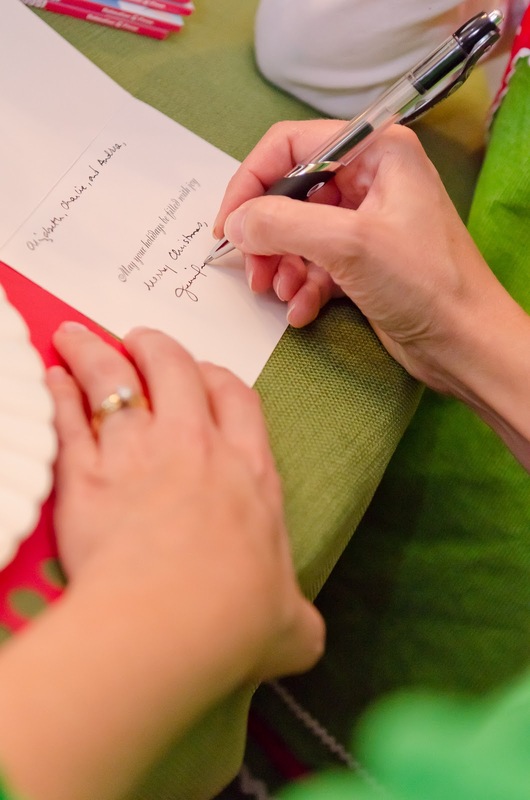 I can’t be the only one who secretly finds writing Christmas cards just a wee bit tedious, can I? I’m not a Grinch; I just find the number of cards and personal messages a little daunting during the crunch time between Thanksgiving and Christmas. So, I thought it would be more fun to write my cards surrounded by friends, and, of course, sugary treats. And that’s just what we did. 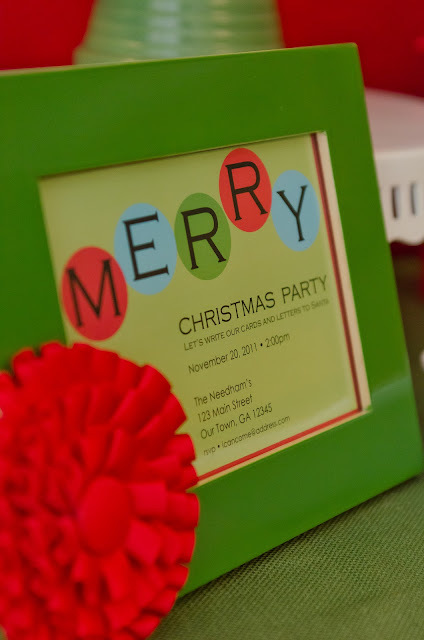 Lucky for me, Sarah Brown of Brown Paper Goods offered the perfect party invitation — modern, with polka dots (naturally), and traditional Christmas colors with a pop of blue. 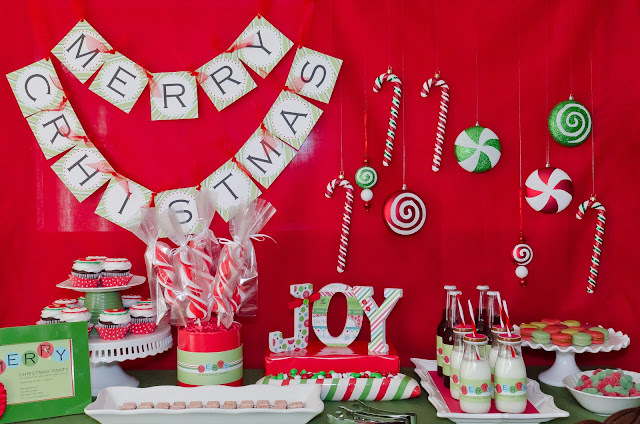 Sarah kindly designed a complete party set for me to coordinate with her invitation: banner, bottle wrappers, food labels, cupcake toppers/favor tags, and most importantly, Official Letter to Santa stationery. Our Etsy shop features this entire party kit – a complete party for 8 delivered to your front door - including all of Sarah’s cute printables AND one dozen cupcake toppers from Edible Details — for just $148 HERE! 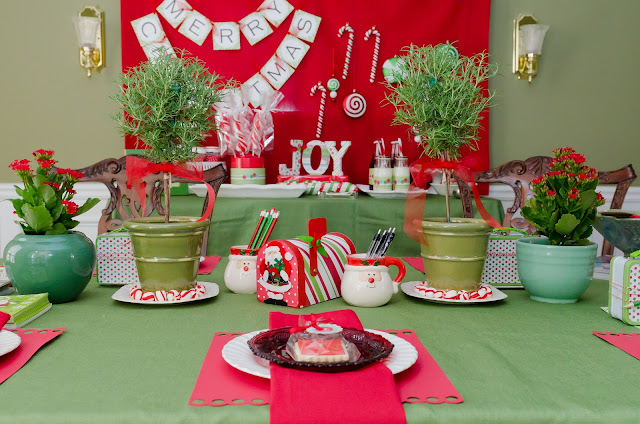 We started the party around the sweets table, which featured the Merry Christmas banner from the printables set, as well as glitter ornaments on a red backdrop. 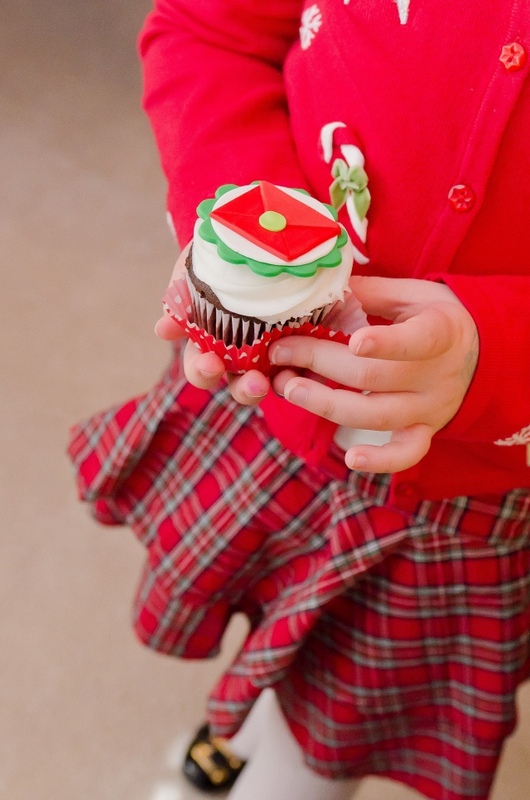 Desserts included cupcakes capped with custom toppers from Edible Details that mimicked our stamp and red envelope (with a little green seal). To make a two-tier stand, I turned a green pottery planter upside down and added a white lunch plate. 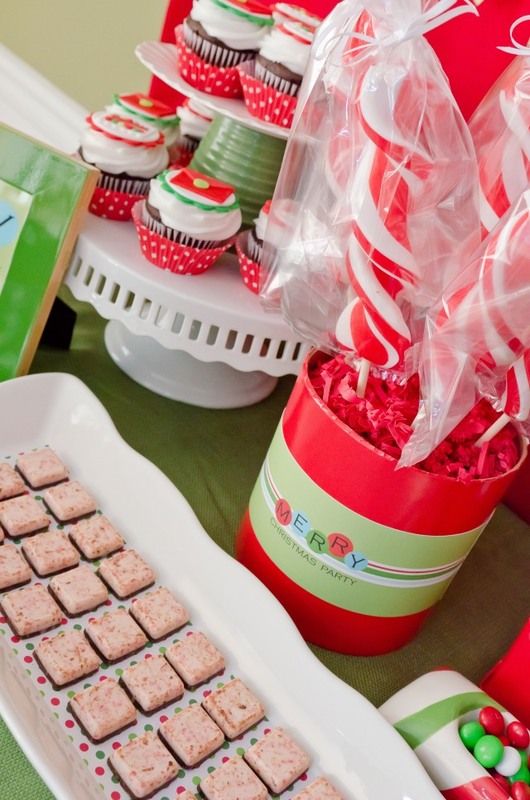 The desserts also included giant peppermint sticks, peppermint bark, mint M&Ms, gum drops, and macaroons. 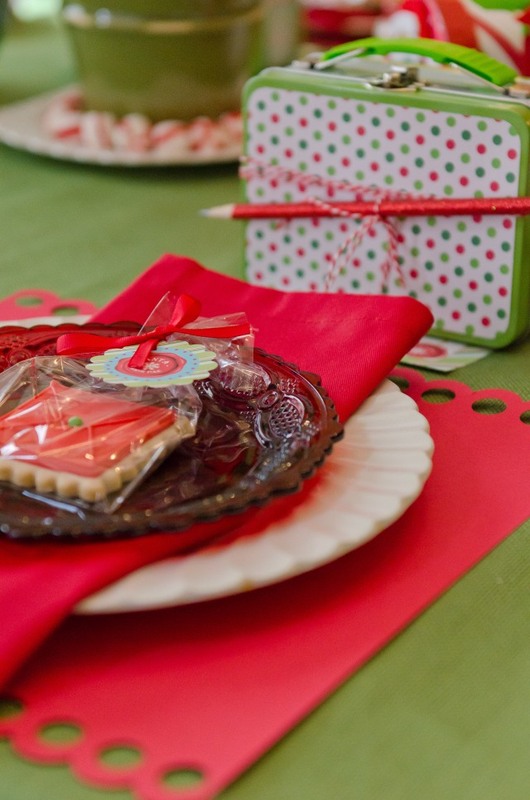 The peppermint sticks are in a paper mache container that I covered with red wrapping paper and two bottle wrappers. (By the way, the peppermint sticks came in cellophane, but it wasn’t cute, so I re-wrapped them using a 12″ treat bag. Just cut a small slit in the center bottom of the bag, slip the stick through the slit, and tie the top of the bag with a thin ribbon.) The macaroons (from Etsy seller Bokolette) included Red Velvet (red), Spiced Caramel & Apple (red & gold dust), Pistachio (green), & Vanilla Olive Oil (light green) — so tasty! With treats in hand, we moved to the table write our cards and letters to Santa. 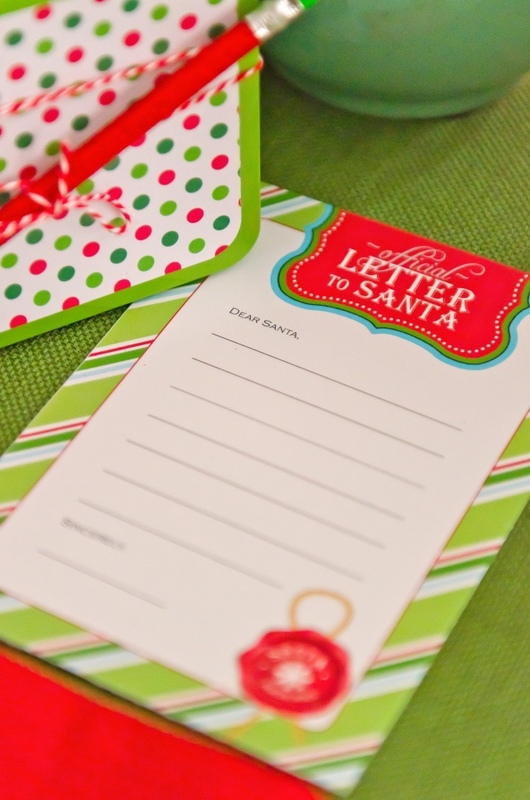 While moms wrote our Christmas cards, our boys and girls wrote their letters to Santa. They took this very seriously! When the children finished their letters, they addressed their envelopes to “Santa, North Pole” and placed them in our special mailbox so they would go directly to Santa." 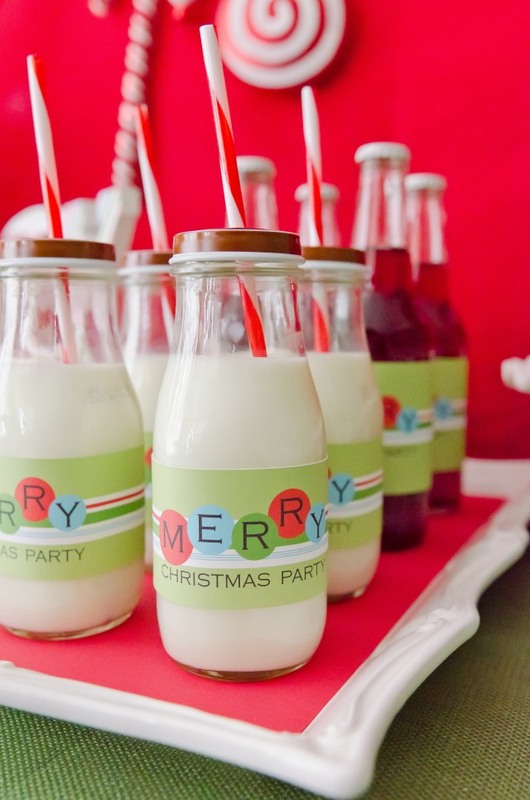 What a fabulous party idea! With all the supplies and treats to match, too! Kara - Thank you so much for featuring my party! I was thrilled to see it -- although I'm laughing that I'm seeing it a day late b/c the ONE day I didn't visit your site, I was on it!! Hi Kara - I can't believe I left my photographer off the vendor credits! Lissette Suarez of Viridian Images Photography (www.virimages.com) took all the beautiful photos.